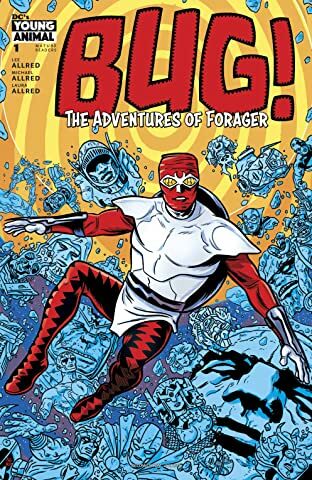 Creative team Mike, Lee and Laura Allred take a mindbending trip through the Fourth World and beyond with Jack “King” Kirby’s unlikeliest heroForager, the noble New God who thinks he’s a bugin Bug! 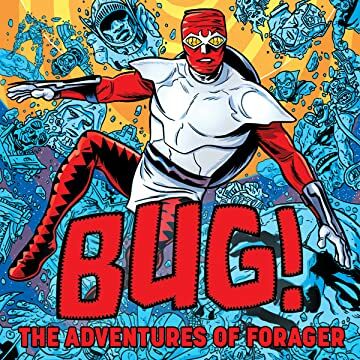 The Adventures of Forager. 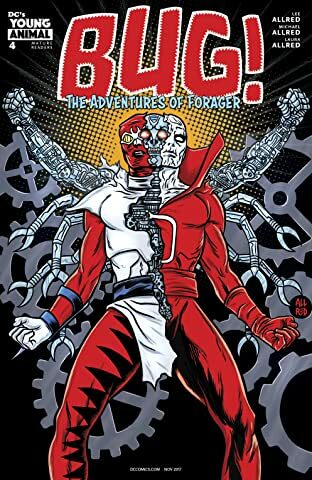 After waking up in a mysterious basement with no memory of how he got there, Forager discovers two strange new companions who might have some answers. 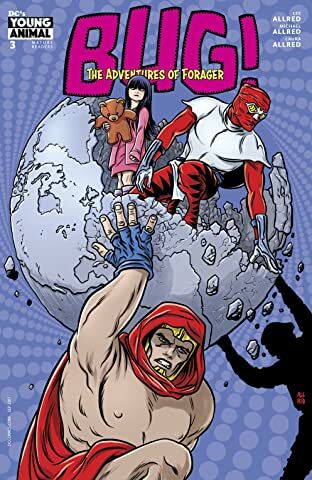 But before he can ask the mute girl ghost and her talking teddy bear how it is that he’s even alive, the surreal trio find themselves in a desperate quest to stop a madman from capturing the last remaining shards of orichalcuma mystic metal with the power to make dreams reality! 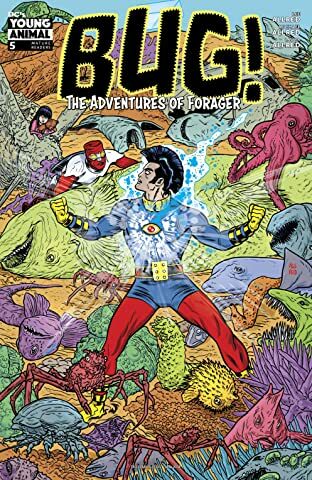 In the ensuing scramble across the Multiverse, Forager will cross paths with countless more Kirby creations, from the Silver Age Sandman and Manhunter to Atlas and OMAC to the Black Racer himself! 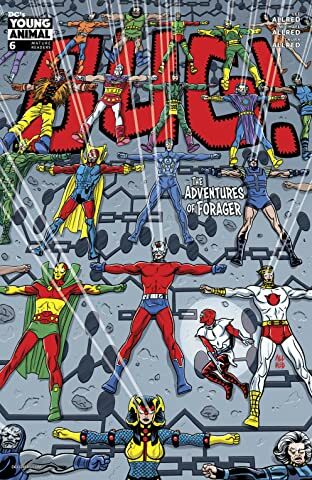 But when the New Gods come facetoface with destruction, can Forager embrace his destiny and once again save the entire universe? 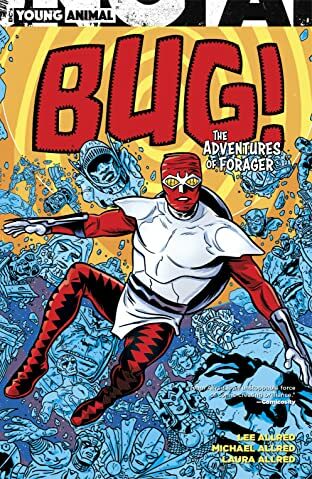 The acclaimed Allred team (Batman ’66, Silver Surfer, Madman) pays loving tribute to the undisputed King of Comics in Bug! 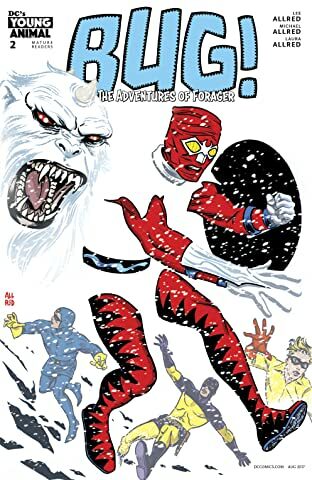 The Adventures of Forager, part of DC’s weird and wild Young Animal imprint! Collects issues #16.